Best Joysticks and Flights Sticks 2019 - Which one to Buy? A joystick is an input device consisting of a stick that pivots on a base and reports its angle or direction to the device it is controlling. They provide a realistic feel that can take your gaming experience to the next level. Helping to recreate the sensation of living on the edge as a fighter pilot or pushing yourself to the limit as an actual fighter. With modern-day technology, there is a vast array of options in the joystick world. Making selecting one a relatively laborious chore. So, if you’re looking for Best Joystick/Flight Stick then we can help you with some of the Best Joysticks 2019 in the business. 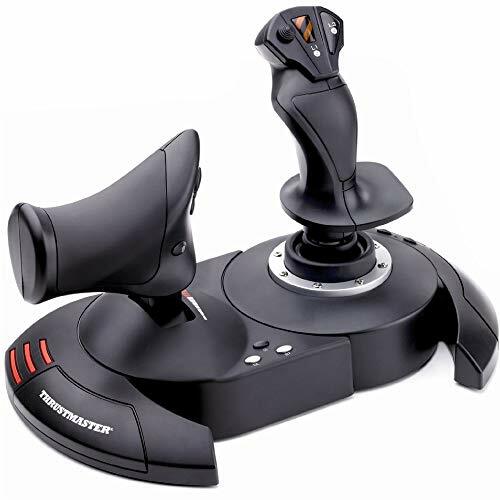 Holding the first place among the list of Best Joysticks 2019, we have the Thrustmaster T-Flight Hotas X Flight Stick. 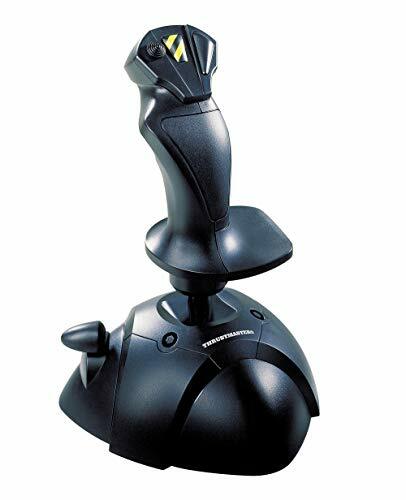 It is a programmable joystick and throttle that is compatible with PCs and PS3 systems for realistic flight simulation. It conveniently plugs directly into the USB port on your system for immediate takeoff. 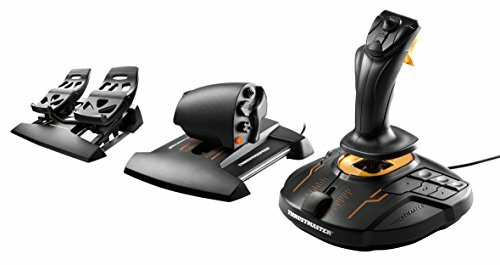 Thrustmaster T-Flight Hotas X Flight Stick features a large throttle that you can use to control the acceleration of your craft and the throttle is detachable, so you can detach it to recreate authentic piloting conditions. Also, it provides the dual system aerodynamic control by rotating the handle or by progressive tilting lever. Besides, internal memory allows you to save your programming even when the joystick is disconnected. Moreover, Thrustmaster T-Flight Hotas X Flight Stick comes with 12 buttons that are programmable and five axles that are entirely programmable. Another advantage is that the full hand rest offers optimal comfort while you’re in flight. Easy to use design and feel. Sleek black and blue color. Can feel a little flimsy. The Thrustmaster USB Joystick features an ergonomically molded grip designed to conform to the natural shape of the hand and extended palm rest for comfort. Thrustmaster USB Joystick offers three axes and four buttons that let you have complete control over the game. Also, the thumb throttle is placed comfortably and gives you increased control over the speed and rates of accelerations. Besides, Thrustmaster USB Joystick is compatible with all Windows-based games and all four of the most recent versions of the Windows operating system. Moreover, Thrustmaster USB Joystick does not offer tactile force feedback sensations or Wireless operation. Though it does sport a base mounted throttle for precise analog control of aircraft speed. The Mayflash F500 Arcade Fight Stick is compatible with PlayStation 4, PlayStation 3, Xbox One, Xbox 360 etc. and works with Sanwa Denshi buttons and joystick that is perfect for customization to make it your very own. Mayflash F500 Arcade Fight Stick supports the headsets to output the background music an online chat on PS4, Xbox One and Xbox 360. Also, it helps the turbo functions with different speed settings. The d-pad and XY analog access mode can be exchanged. Besides, Mayflash F500 Arcade Fight Stick has a single customized wrist strap that makes you feel the real vibration. 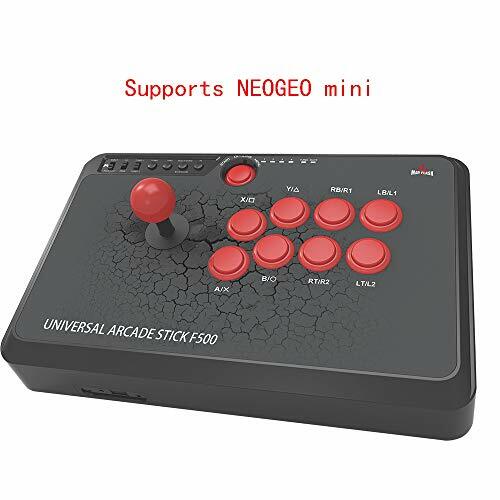 Moreover, the fighting stick has considerable heft and rubber feet both of, which work to hold the controller firmly in place on hard flat surfaces. Another advantage is that it offers two pieces of metal panels which increases the fighting sticks wait for a stable and secure field. The Thrustmaster T16000M FCS Flight Pack is a complete solution for playing flight simulation games in VR and non-VR environments. It features removable parts so you can use it left or right-handed. Also, the TFRP rudder pedals have an extended range of travel on the rudder axis for precise maneuvers allowing you to dodge threats with accuracy. Besides, you can use the TWSC throttle to increase your speed to get out of sticky situations or utilize its multiple buttons to unleash your arsenal upon the enemy. T16000M FCS Flight Pack is self-centering rudder access offers an optimal balance between smoothness and resistance. While an extended range of travel lets you execute precise maneuvers. Moreover, you can program up to 256 buttons on the joystick and it’s built with a large hand rest for reduced stress and weighted base for enhanced stability. 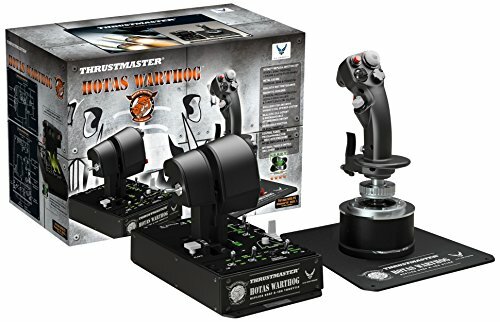 The Thrustmaster 2960720 HOTAS Warthog PC Joystick features 19 action buttons and comes with a dual throttle system allowing for independent control of two motors. Also, the magnetic sensor technology used for the throttles provides unrivaled precision. HOTAS Warthog PC Joystick also features backlighting for functions and the five programmable LEDs are also a plus for use in dark or low light conditions. Besides, HOTAS Warthog PC Joystick includes a trim wheel and 15 action buttons including various push buttons with resistance identical to that on a real airplane and industrial metal switches with highly realistic pressure. Moreover, HOTAS Warthog PC Joystick has a five-coil spring system a detachable metal plate for desk or cockpit use and a removable handle that you can switch out with the HOTAS cougar handle. Another advantage is that it utilizes the HEART hail-affect accurate technology for ensuring stellar precision over time and eliminating the wear of mechanical friction.